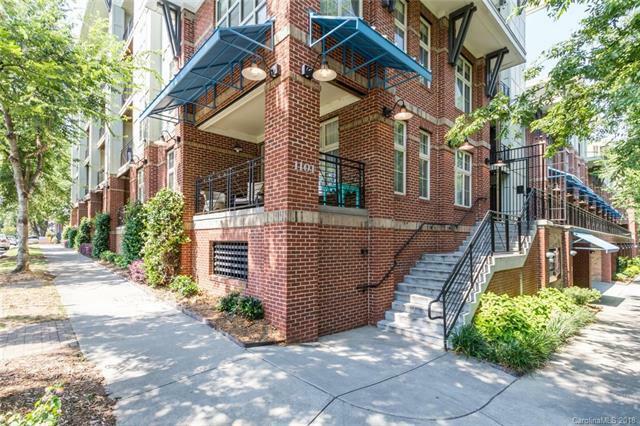 1101 1st Street #408, Charlotte, NC 28202 (#3457347) :: Caulder Realty and Land Co. Located in trendy 3rd Ward Warehouse district adjacent to Frazier Park and view of Bank of America Stadium from balcony, and walking distance to Panther's Practice Field. Stainless Steel range, microwave and Refrigerator included. Hardwood floors throughout kitchen and living room. Charming courtyard with private parking garage and secure building access. One parking space available per unit #6. Additional space/parking permit can be obtained through City of Charlotte. Sold by Team Scholz Properties Unlimit.